Avocados are packed with nutrients, providing fiber, healthy fats and vitamins C and B-6. They're generally safe to eat; in rare cases, however, they may cause allergies. Symptoms include rash, upset stomach, facial swelling and trouble breathing. Those with latex allergies are especially likely to react to avocados, according to the Cleveland Clinic. 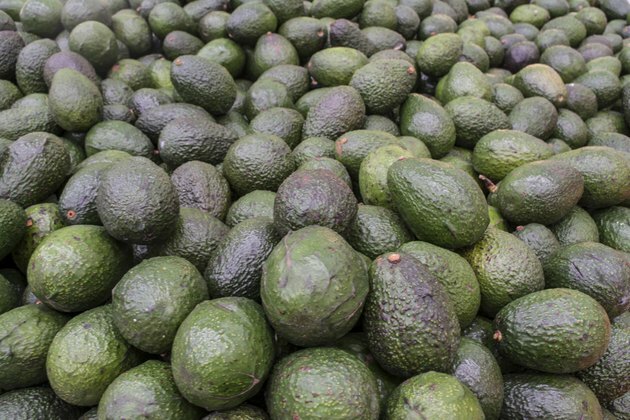 In addition, the high fat content of avocados makes them relatively heavy in calories, so eating too many avocados could contribute to weight gain. Most foods will cause weight gain if you eat too much, but avocados are more likely than other fruits to contribute to this side effect. The average avocado contains about 227 calories, so stick to just one-fifth of a fruit to help maintain your weight. For reference, the average woman burns 2,000 calories per day, while the average man burns 2,800 calories per day, according to the American Council on Exercise. A woman who eats two avocados in a day would consume nearly one-fourth of her daily calories from this fruit alone. American Council on Exercise: Do Men and Women Have Different Nutritional Needs?